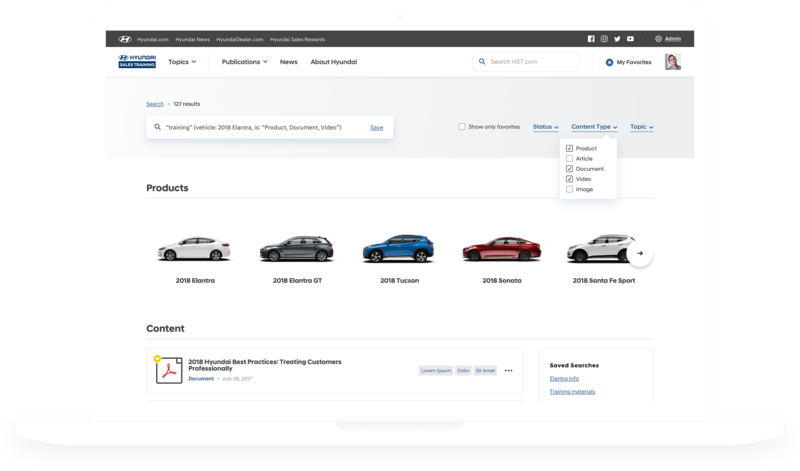 How does a leading car manufacturer make sure that all of its 40,000 sales employees operate off of the same playbook? 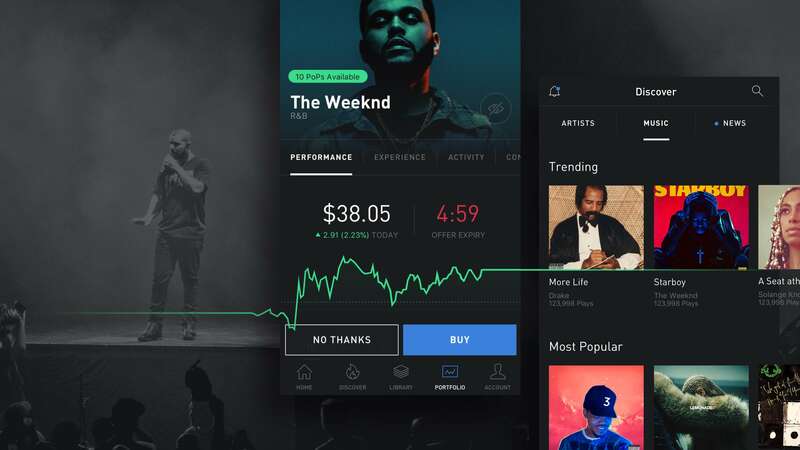 What happens if that playbook is updated yearly, monthly, daily, or hourly? How does the company track who is and who isn't participating in their ongoing and required sales training? Answer: provide the entire organization with a modern mobile/desktop training portal that is simple to use, allows for instant access to comprehensive product information and sales support tools, and pushes on-demand updates to all of its users in real-time. 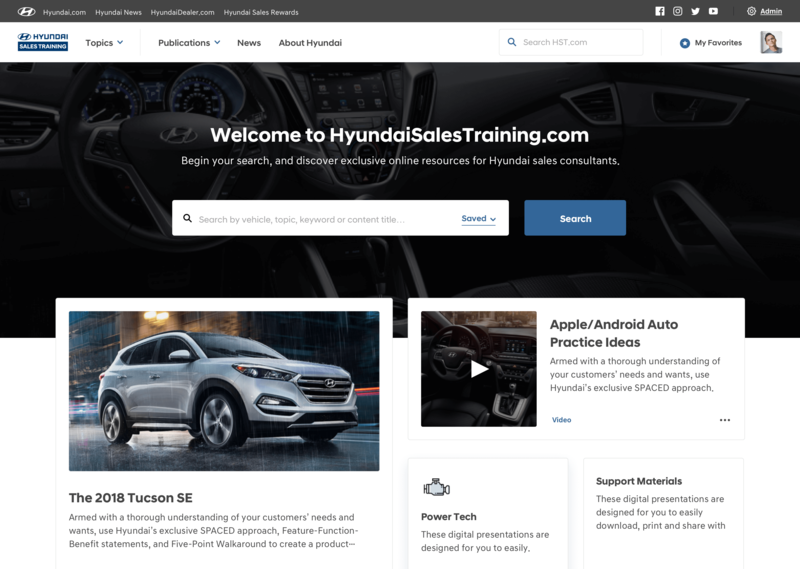 Understand the relationship between Hyundai headquarters and its nationwide sales personnel in order to properly define and build an interactive content + communication platform that encourages self-help sales training and product education. 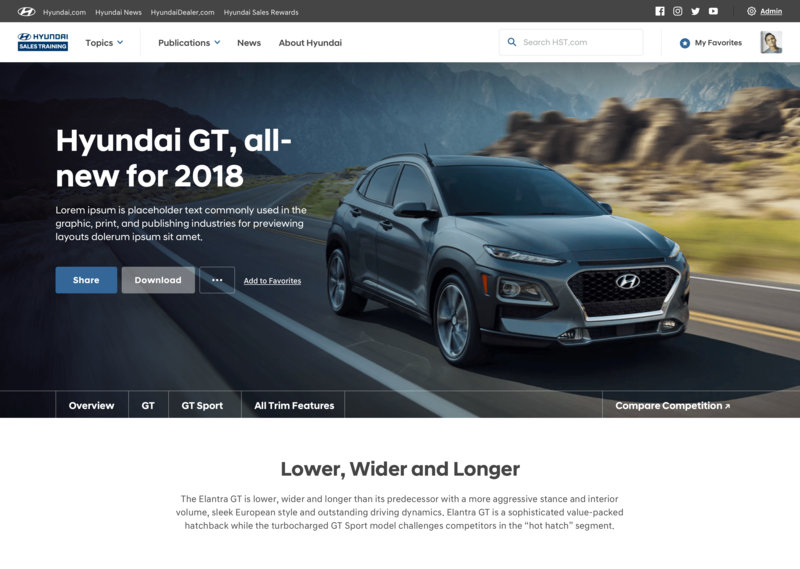 It was no surprise to learn that Hyundai’s sales employees are rarely in front of a desktop computer, as they are usually on-the-go or working with potential customers in the sales lot or on the showroom floor. 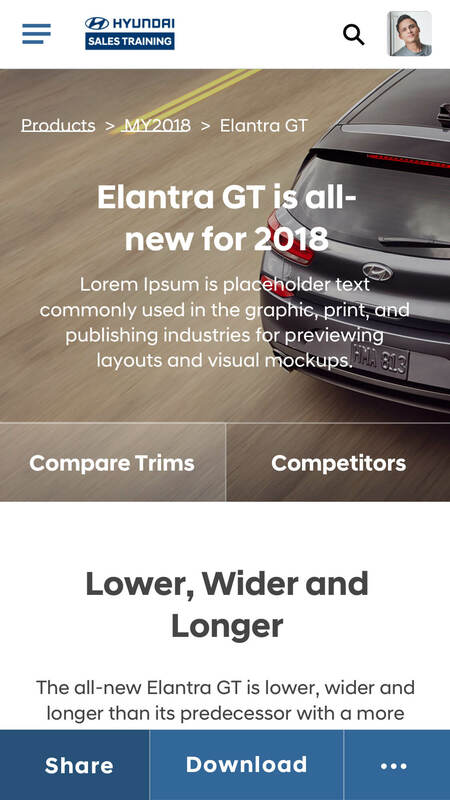 Therefore, it was important for us to build the front-end of the portal to be fully mobile responsive and accessible in its entirety on any device. 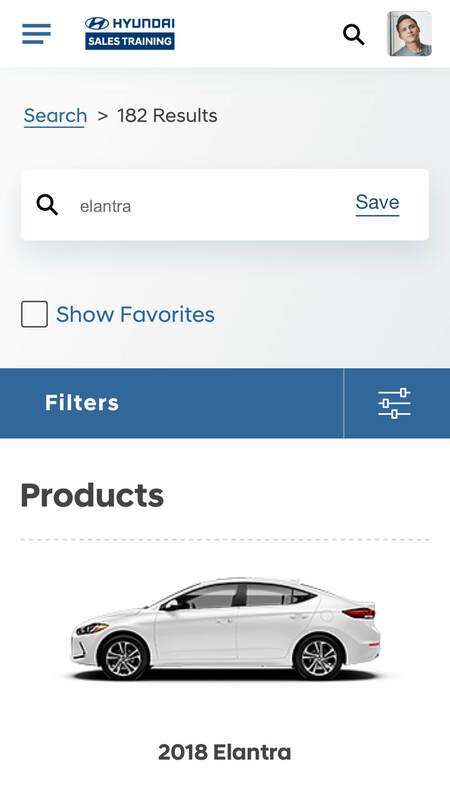 With such a large amount of dynamic content on the platform, Hyundai needed a robust search feature to provide additional assistance to users. 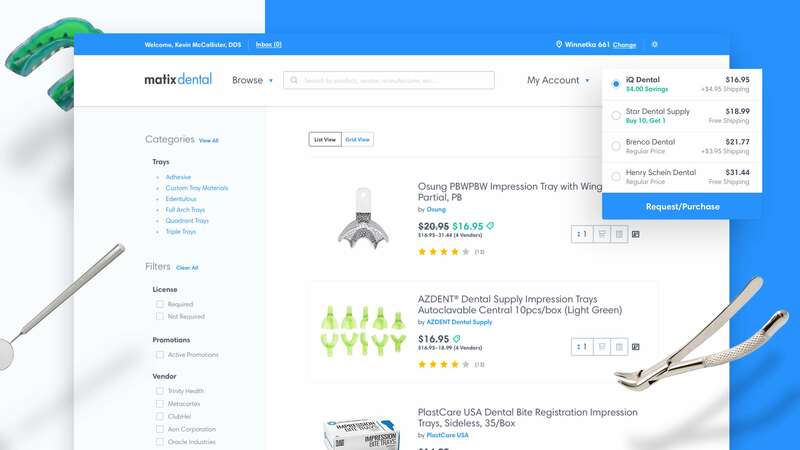 This came in the form of predictive, auto-generated search queries based on real-time user submissions. 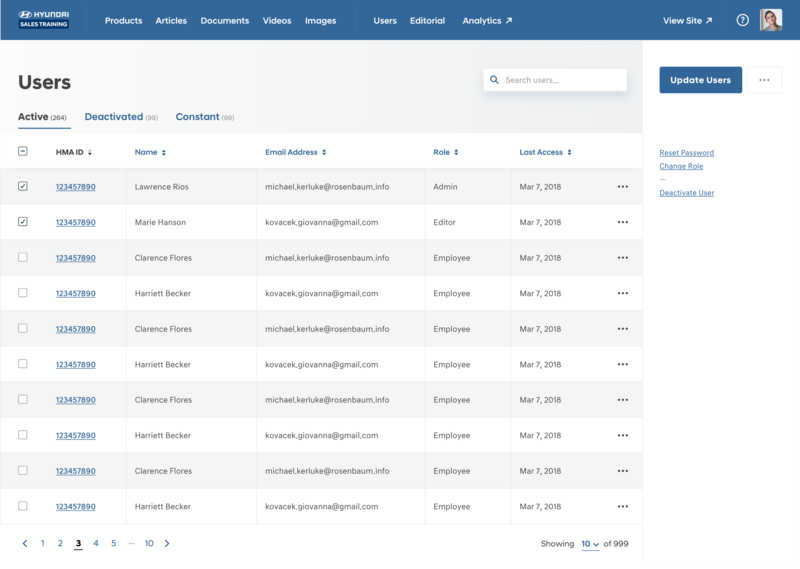 Once arriving on the appropriate content, sales employees are then able to utilize our ultra-intuitive, 2-click sharing for sending relevant articles, images, videos, and PDFs to public, off-platforms users (potential customers). "The quality of [Expedition Co.’s] work blows me away because every time we ask for something, they consistently exceed our expectations. The team goes outside the scope to improve a component because they believe in their work and want to deliver the best product possible."